There comes a time in everyone’s life when you begin to ask yourself questions regarding the meaning of life, what is your purpose, and when you leave this planet, how do you want to be remembered? These are just some of the questions that the management team at Le Phare Bleu asked themselves during 2014. As a result, we decided as an organization we wanted to make a positive impact in our surrounding community and to touch lives that need it the most. Thus, the relationship with Pack for a Purpose began in October of 2014. We have only just begun to crack the surface of the impact that can be made when we partner with our guests from around the world. I am always amazed at the generosity of the world’s citizens who are willing to “just do a little something” by going out of their way to pack items such as school backpacks, pencil cases, pens, pencils, rulers, calculators, crayons, paints, soccer balls, and even stuffed animals for children halfway around the world who they will never see. But that is what are guests have done and continue to do! 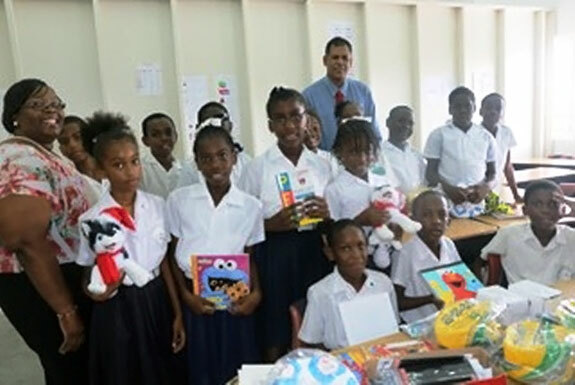 In early December 2014 Le Phare Bleu was thrilled to make our first delivery of donated items to the school just before the Christmas school break. 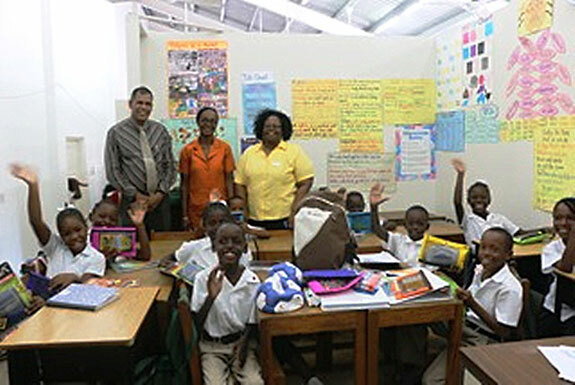 Cheryl Rennie, Sales & Marketing Manager, and Caroline Edwards, Human Resource Manager for Le Phare Bleu, had their hearts touched by the children of Woburn Methodist Primary School and their principal, Mr. Japal. The sheer look on the children’s faces when they saw the 34.5 pounds of donated items arrive was priceless! To our surprise, we were able to make a second donation to the school in mid-January 2015 as a result of the many guests who visited Le Phare Bleu over the holidays. The items just kept coming and before we knew it, we had 37.92 pounds for our second donation. One might think, how could something as simple as pencils, paper, and other school supplies make a difference? The truth is that donations such as these may have made the difference for one or more students who might not have stayed in school due to the embarrassment of not having the funds to buy even the most basic of items. Education is the key to moving from life in poverty in a third-world developing country to a life where the world is at your fingertips. Simple school supplies that most of us take for granted, placed in the hands of students, can facilitate this change. It’s hard to believe that in 2015 there are people living without electricity, running water or a toilet inside the house, but this is the reality in some parts of the Grenada and in many countries throughout the world. So, the next time you go shopping for a new outfit, pair of shoes, or swimsuit for your vacation, we hope that you’ll partner with us and also bring along some of the items listed on our Pack for a Purpose page. Making a difference in the lives of others is what makes this great vast world that we live in seem much smaller as we connect with one another. Creating a life with purpose allows us to be valued stewards of the blessings that have bestowed on us, and sharing that with others in need is what Pack for a Purpose is all about! 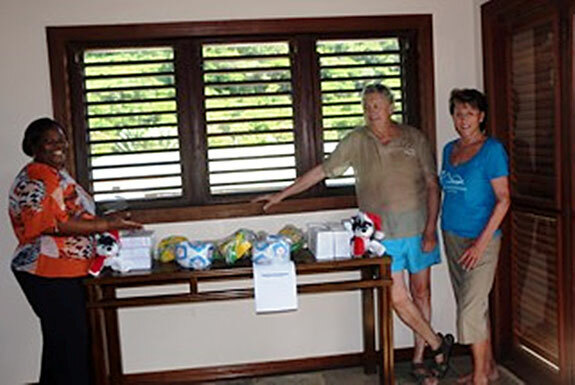 So, as you dream of your next vacation experience in Grenada or elsewhere, consider “paying it forward” as so many of our past Le Phare Bleu guests have done. You won’t be sorry, I guarantee it!